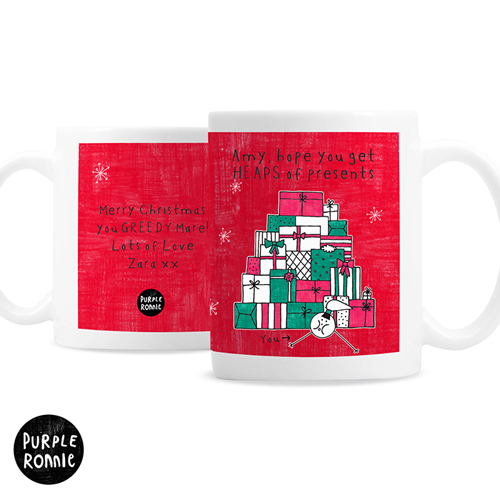 This Purple Ronnie Female themed Christmas Mug can be personalised to the front with a message over 2 lines of up to 20 characters per line. The back of the mug can hold a message of up to 4 lines of 20 characters per line. The personalisation will appear as it has been entered. Personalise the front with a message over 2 lines of up to 20 characters per line. The back of the mug can hold a message of up to 4 lines of 20 characters per line.